Liverpool’s official website has undergone something of a revamp over the last few days. Among the pages to be updated ahead of the new season is that belonging to our academy side, which has now been enhanced to include 39 names, including several that you might not have come across before. With the likes of Ryan Kent, Jordan Rossiter, Jerome Sinclair and Sheyi Ojo all having been promoted to the first-team page – looking to compete for a spot in Brendan Rodgers side or going out on loan – there’s a very different look to our second string set-up. 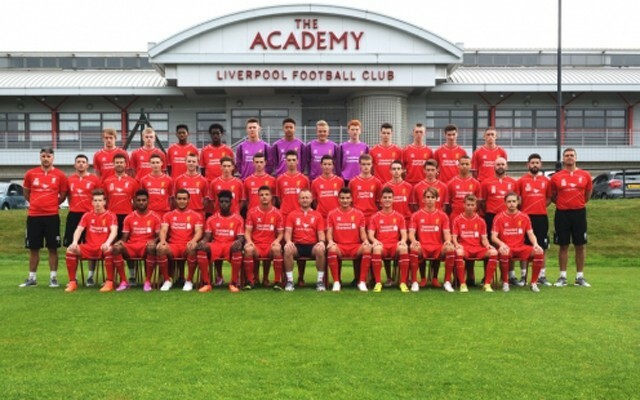 However, Michael Beale’s side will still be looking to go one better than last year, when they finished second in the Under-21 equivalent of the Premier League to Manchester United – so there remains plenty of exciting young talent to looking forward to seeing in a Liverpool shirt this season. A creative central midfield player who has been compared to a young Steven Gerrard. He made his senior debut for the club at right-back in the friendly against Swindon on Sunday and did well. A local lad who has been with the club since the age of eight, he started last season as captain of our Under-16 team. This England youth team international is best known for being the captain of our Under-18 side. Our official website describes him as a committed defender, who possesses a fine positional sense out on the field. He also models his game after two iconic figures – Jamie Carragher and Carles Puyol. A box-to-box midfielder who joined the Reds at Under-16 level. The Australian-born star is a boyhood Liverpool fan and will have likely loved seeing us go up against boyhood club Melbourne back in 2013. He lists his dream ambition as winning the Champions League. Isn’t it the same for all of us, Jake? The Spaniard joined Liverpool from Barcelona in the summer of 2013. A product of the world-renowned La Masia Academy, this kid comes with quite some reputation to live up to. Capable of playing down either flank or through the middle as a number nine, he says he wants to be the next David Villa. A name that will be fairly familiar to most Liverpool fans by now. This former Valencia starlet was in attendance during our Far East tour last month and got a couple of short run-outs. A defensive midfielder, who plays in the traditional number six role, he lists his career highlight thus far as playing at Anfield.